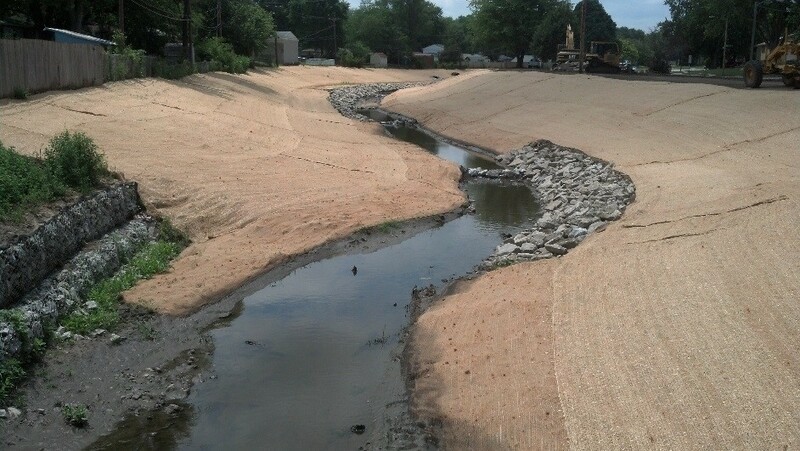 The initial construction of the channel rehabilitation project is complete. Establishment of vegetation will be an ongoing process. The native grasses take several seasons to get established. The City has a maintenance contract with a landscaping company to help in this process and additional seeding in the spring of 2017 is anticipated. A landscaping contract for Thompson Creek Plantings Phase One has been awarded. This will provide shrubs, ornamental trees, and understory trees along rear property lines of residences abutting Thompson Creek based on the planting plans that were shown to property owners last fall. These plantings are anticipated to be installed in October of this year. 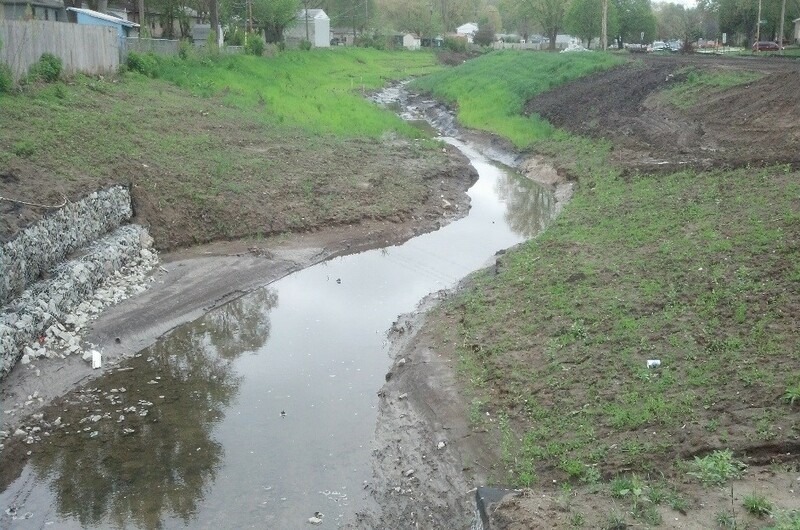 Four wetland basins were constructed at storm sewer outlets for the purpose of filtering storm water runoff. These are holding water more than anticipated and the consultants have been asked to prepare modifications of the wetlands to try to reduce the amount of ponding. In the meantime, City staff is applying mosquito larvicide treatments to these basins. The City has entered a joint agreement with the City of Papillion to conduct storm water public education and outreach in 2016. Displays have been provided at the Salute to Summer, at La Vista Public Works Expo on June 11, at Papillion Days and at a couple of Papillion Farmers’ Markets. A display was also provided at the World O’ Water on September 10 at Wehrspann Lake where more than 2400 citizens visited that event. More events for school classes and senior citizen groups are planned for this fall. 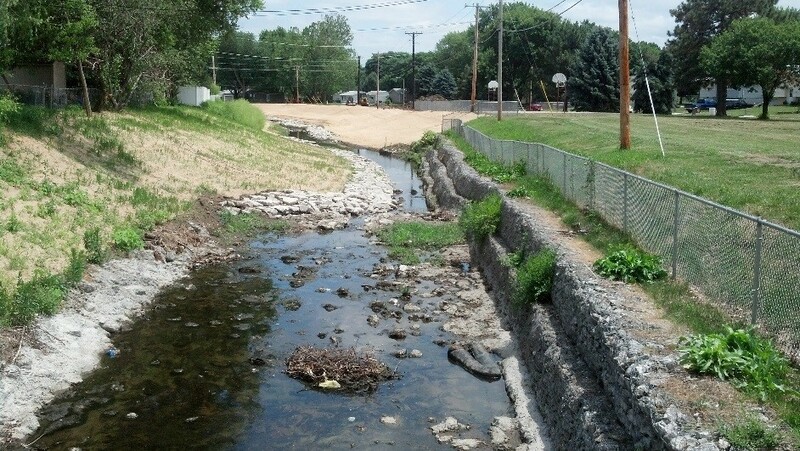 Repairs to the large corrugated metal culvert that carry Thompson Creek under 72nd Street will be starting the week of September 26, 2016 to extend the life of the culvert. No lane closures or disruption to traffic is expected for that work. Here are a few photos of the current construction status. •	At long last, the work is substantially complete. A few items such as sidewalk repairs and replacement of the sand volleyball court are ongoing as I write this. There is also a list of minor items yet to be completed but it is great to have reached this point in the process. Terms of the contract for delay are being implemented. •	High groundwater elevations have been encountered as a result of the excessive precipitation received in 2015. 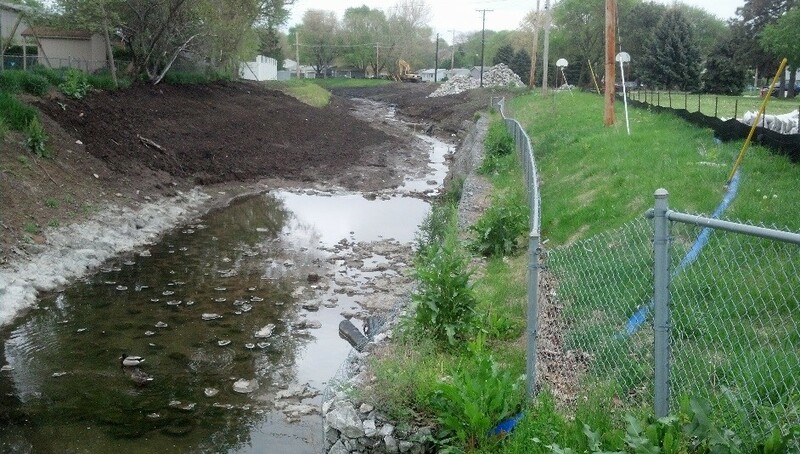 This has required some additional rip rap and some reworking of channel banks particularly in the section between 72nd Street and 73rd Avenue. 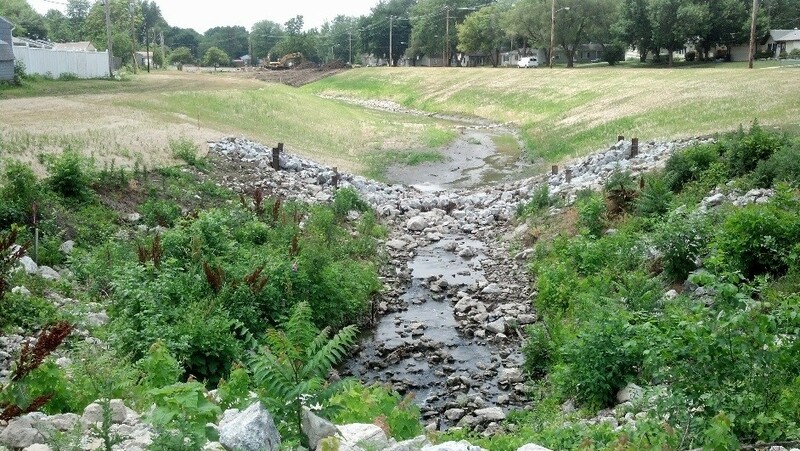 •	Four wetland basins were constructed at storm sewer outlets. 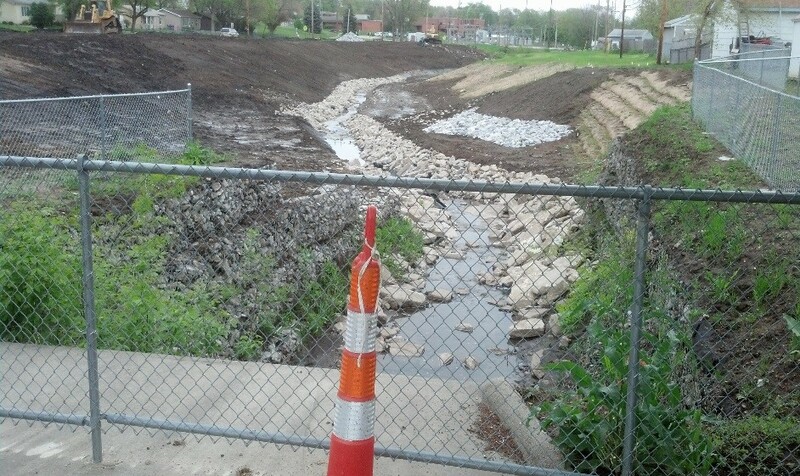 These areas will be important to filtering runoff from the storm sewers and improving water quality. •	The installation of seeding has been mostly completed. This will require some time to become established. The City has entered into a contract with the nursery to provide maintenance to add in establishment of the vegetation over the next three years. •	The City has prepared a Commemorative Tree Program which provides an opportunity for citizens to purchase and have a tree planted in a City Park to honor loved ones or recognize organizations. A policy document was recommended for approval by the Park and Recreation Advisory Committee in January and will next be considered for approval and implementation by the City Council. 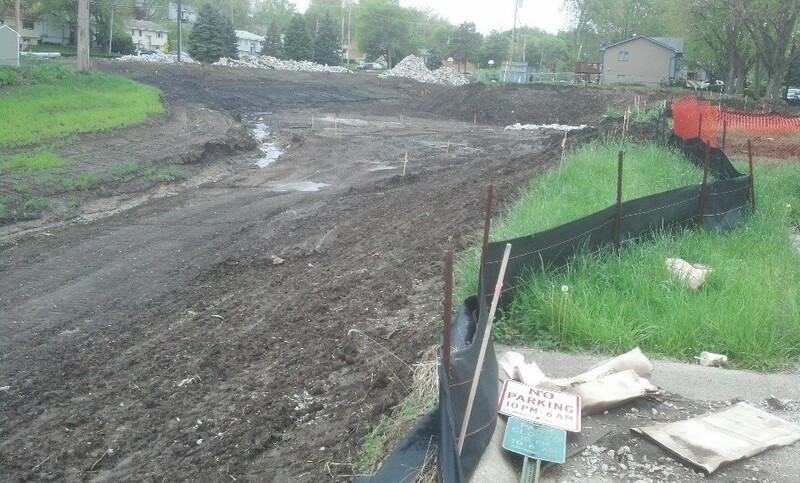 •	The City is working on a project to install plantings along the rear of properties abutting the creek. Currently this is anticipated to happen in the fall of 2016. 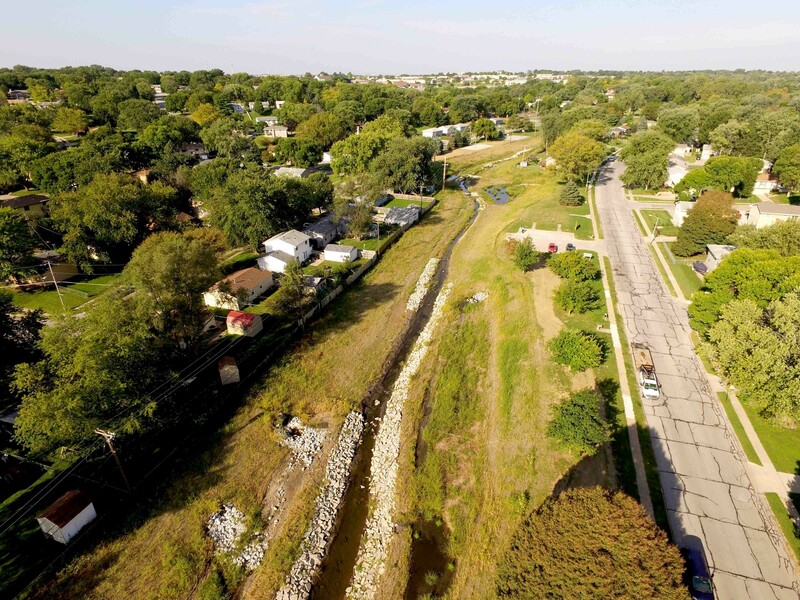 •	The City has entered a joint agreement with the City of Papillion to conduct storm water public education and outreach in 2016. Displays have been provided at the Salute to Summer, at La Vista Public Works Expo on June 11, at Papillion Days and at a couple of Papillion Farmers’ Markets. More events for school classes and senior citizen groups are being considered. •	Public education materials on storm water management for the two communities bear the following logo. Look for information booths are various community events throughout this year. •	More information on the Thompson Creek Watershed Restoration project can be found at www.cityoflavista.org/thompsoncreek or http://www.upstreamweeds.com/. •	Work resumed on channel reconstruction activities on March 14 as a result of early warm weather. Two of the revised completion dates have yet to be met and the terms of the contract for delay are being implemented. •	The favorable weather continued until the middle of April but progress was not as favorable. Significant rains over the last two weeks have delayed recent construction activity. 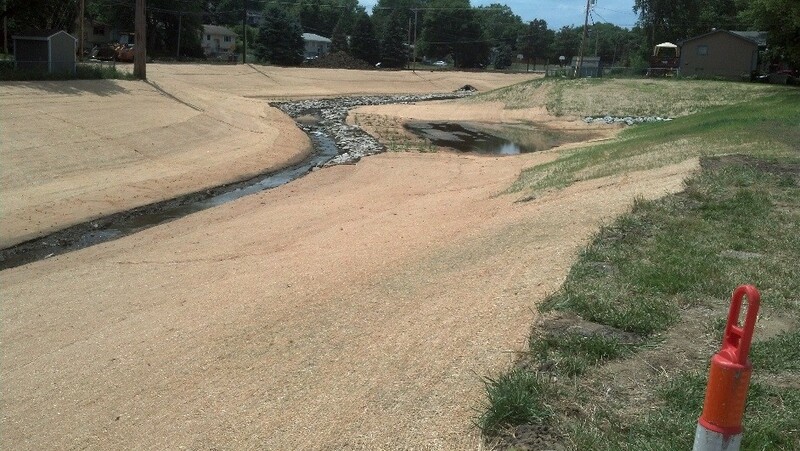 •	The rough grading of the channel between 72nd Street and 73rd Avenue is complete and finish grading is nearly complete in this section. The repair of a grade control structure just west of 72nd Street is in progress at this time. Recent work completed in this section included placement of stone armoring. Remaining work includes finish grading, plantings and seeding. •	The installation of storm sewer filters in 73rd Avenue was completed which is the reason that 73rd Avenue was closed for a few weeks to allow the required pavement removal and replacement for installation of the filters. 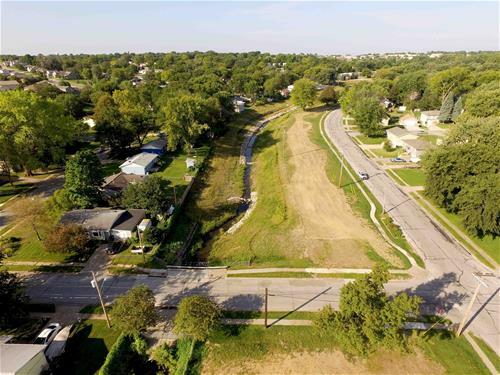 •	Rough grading in the section west of 73rd Avenue is generally complete from Champion Park to the east except where wetlands areas at storm sewer outlets need to be constructed. The area from Champion Park to Edgewood Boulevard has made some progress but still needs significant reshaping and finish grading. •	Placement of stone armoring and grade control structures will also take place throughout the channel between 73rd Avenue and Edgewood Boulevard. 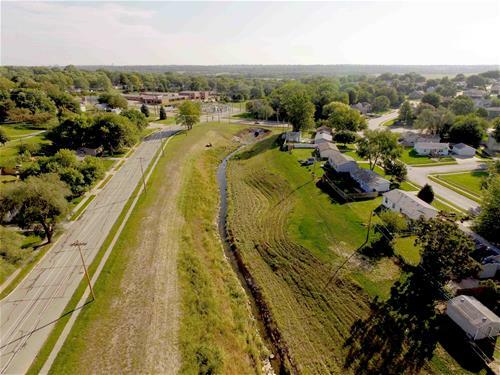 •	The City has entered a joint agreement with the City of Papillion to conduct storm water public education and outreach in 2016. Another Bio Blitz will be held in the fall of 2016 at the new Prairie Queen Dam Site. An informational display on behalf of both cities was part of the Nebraska Science Festival on April 19 at the Kaneko and on April 23 at the Durham Museum. Displays are planned at the Salute to Summer Festival and at La Vista Public Works Day on June 11. Displays will also be at events in Papillion during the spring and summer. Please plan to attend. More information on the Thompson Creek Watershed Restoration project can be found at www.cityoflavista.org/thompsoncreek.